Voted as one of the Coolest Time Magazine Inventions, d_skin Protective Disc Skins is a revolutionary new product that protects your discs Even While They Play. 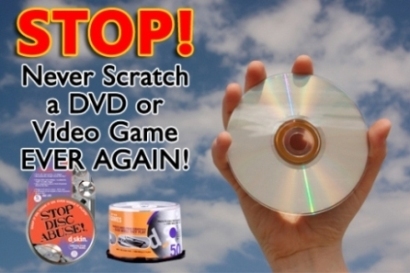 Snap it on your games movies, music or data discs for instant scratch protection. Voted as one of the Coolest Time Magazine Inventions, d_skin® Protective Disc Skins® is a revolutionary new product that protects your discs Even While They Play™. Snap it on your games, movies, music or data discs for instant scratch protection. Laser transparent d_skin® Protective Disc Skins® work on CD’s, CD–R’s, DVD’s, Playstation®2, Xbox® 360, Nintendo® Wii and computer games. d_skin® transparent film will not affect music or video quality. They are so versatile you can even burn through them when doing your backups or saving those family pictures and videos. d_skins® NEVER have to be removed, because they are constructed of a patented film that is invisible to laser devices and does not affect the music, data, image or video quality. If you scratch the d_skin® disc protector, just toss it into the recycle bin and snap on a new one! If there is dirt, fingertips or smudges on your d_skin®, just wipe it with a clean cotton fabric in a straight line from the center of the outer disc to the outer edge. You may also use CD/DVD cleaning detergent or isopropyl alcohol. Just snap d_skin® Protective Disc Skins® onto the readable side of your favorite discs and consider them protected. The amazing Liplock Seal® snaps onto the edge of any standard size disc and holds tight. Once your discs are skinned, there is nothing to take off or put on when you are playing, storing or transporting your games, videos, or music. : How does d_skin® work? A: d_skin®'s patented film and outer–ring technology are breakthroughs in disc protection. The ultra–thin Skin® forms a protective barrier on the readable side of your discs to prevent scratches. Q: Did you say this stays on while you play your disc? A: Yes! The Skin® is so thin that your discs can be read right through it. No distortion, no skipping, no problems. Q: Does it affect the way a disc plays? A: No. Discs store data digitally and the laser–transparent film of d_skin® does not alter the quality. Digital information is either on or off, the quality remains perfect, just as it was recorded. Q: Can a d_skin® get scratched? If so, what then? A: Yes, the d_skin® film itself can get scratched, but the beauty is, your disc has been protected. Just toss the scratched Skin and snap on a fresh one. Your entertainment survives! Q: What products will the d_skin® Protective Disc Skins® work on? A: d_skin® Protective Disc Skins® work on PlayStation®2, Xbox® 360, Nintendo Wii, computer games, DVD’s, music CD’s and data CD’s. Q: How do you apply a d_skin® Protective Disc Skin®? A: First, clean any surface dust and marks from your game. Place the edge of the disc under one or two snaps with the readable side (shiny side without the label) against the d_skin® Protective Disc Skin®. Proceed to snap the rest of the tabs on around the disc ensuring all 8 tabs are snapped securely in place. Q: I’ve put it on my disc and it now my disc doesn’t work, then what? A: Remove the Skin® and clean your disc. Replace the Skin® and ensure that all the tabs are securely in place. Q: Can you reuse the d_skin® Protective Disc Skin®. A: The d_skin® Protective Disc Skins® are made to be left on discs at all times and are designed for single application. You can take them off, however taking them on and off repeatedly may result in breakage of the Skin®. If the Skin® gets scratched, simply unsnap each tap to remove it from the disc and replace with a new one. Q: I’ve heard that scratching the top is what destroys a disc, not the bottom. A: That is correct, scratching the top of a disc will destroy it. However, the top of discs are much more difficult to scratch because of the labels that are already on the discs. It is much easier and much more common to scratch the readable side of the disc. d_skin® Protective Disc Skins® are the only way to prevent scratches to the readable side. Q: Ever wonder how a disc works? Here's the science behind it. A: Much like the human body a disc has several layers or “skins” that perform vital functions to operate properly. Disc’s actually have five distinct layers that allow them to play. d_skin® Protective Game Skins® ultra–thin laser transparent Skin® acts as another layer of protection giving you a first line of defense against scratches. Q: Umm . . . ok, that’s interesting, but you were explaining how a disc works? A: Right. A disc player's laser beam enters the disc on the play side (bottom, shiny side). It travels through the first layer of clear plastic that provides protection from scratches “yeah right.” This clear plastic actually makes up the bulk of the weight and depth of a disc. The laser then passes through the data layer and reads the information on the disc. The beam then bounces off the reflective layer, travels back through the clear plastic layer and into the player where it is converted into data and sound. Q: But wait, that was only 3 layers. I thought you said there were 5? A: You were actually paying attention? Fantastic! Ok, the other two layers the laser never touches. 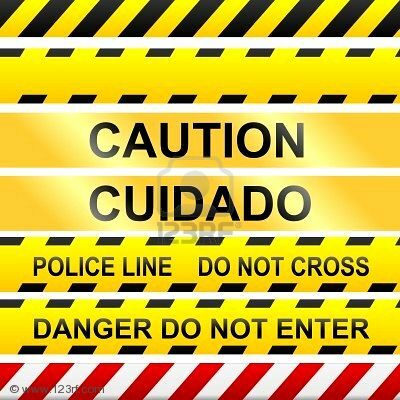 There is a protective skin behind the reflective layer and then the final layer allows a label to be printed on it. Happy now? Q: Mostly. So tell me again about d_skin®? A: d_skin® Protective Disc Skins® provide a protective layer around your disc to prevent scratches even while playing. Snaps On. Play On®. Always On. It's that simple. End Disc Death!